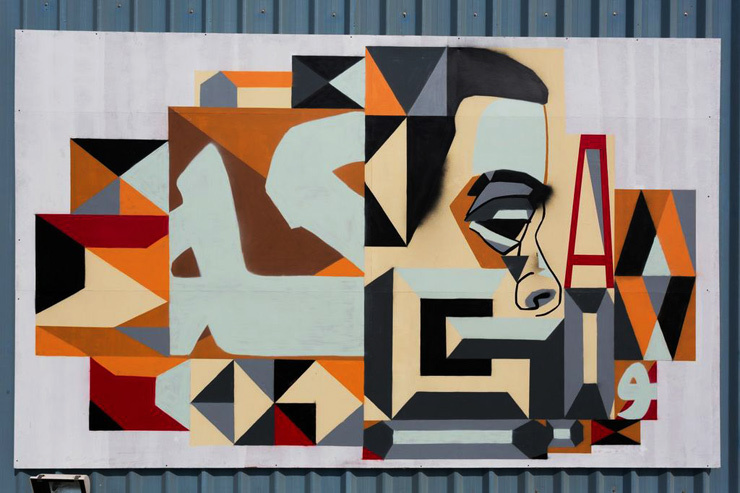 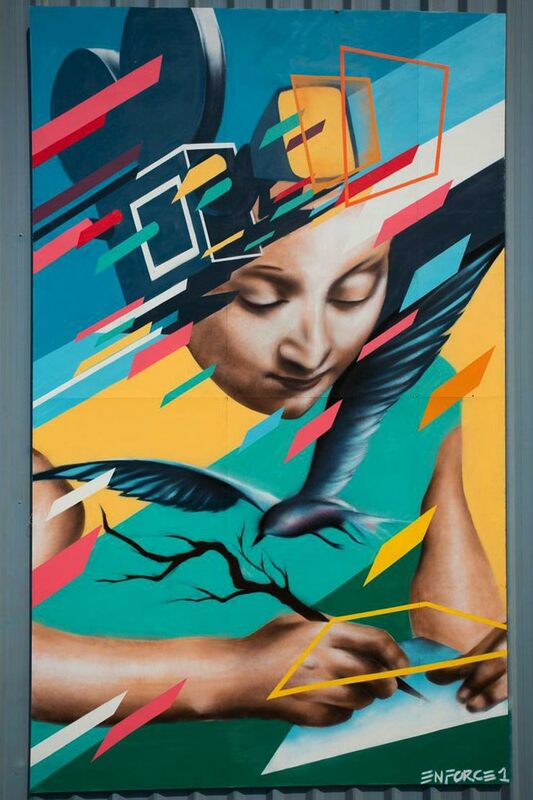 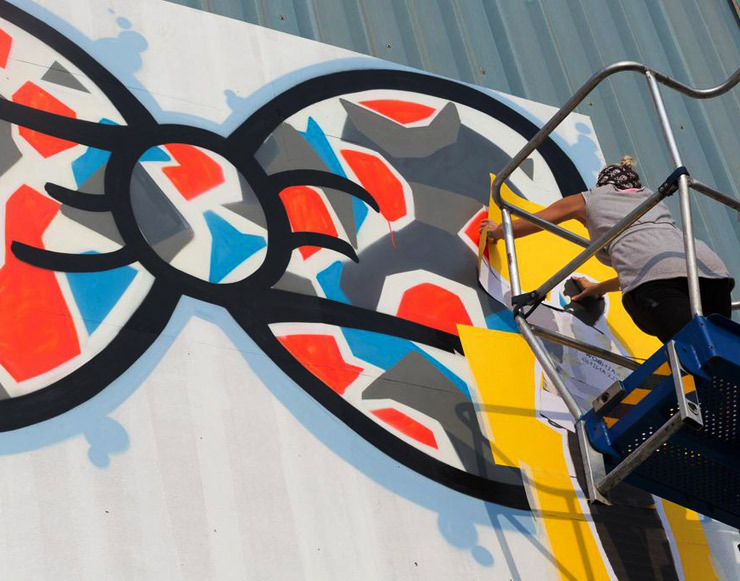 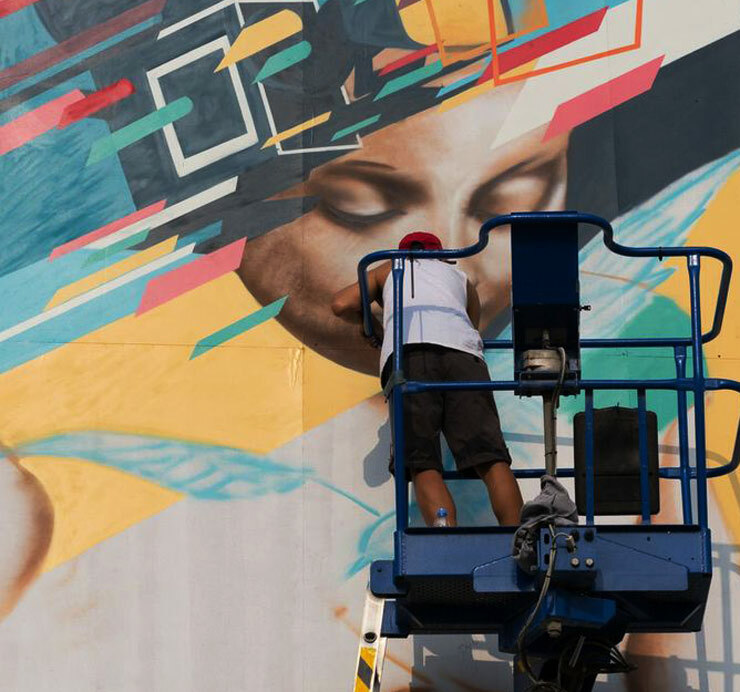 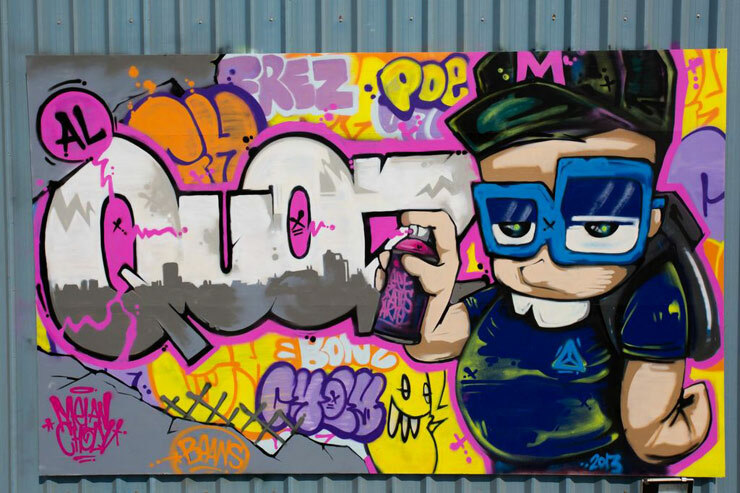 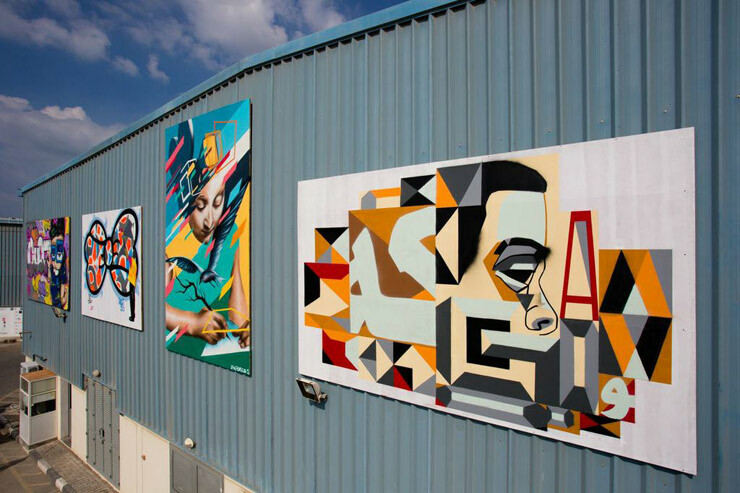 A lot of the art world and its accompanying commerce has turned its attention to Dubai in the last decade, and not surprisingly, an element of graffiti and Street Art has made it there also – just not on the actual street. 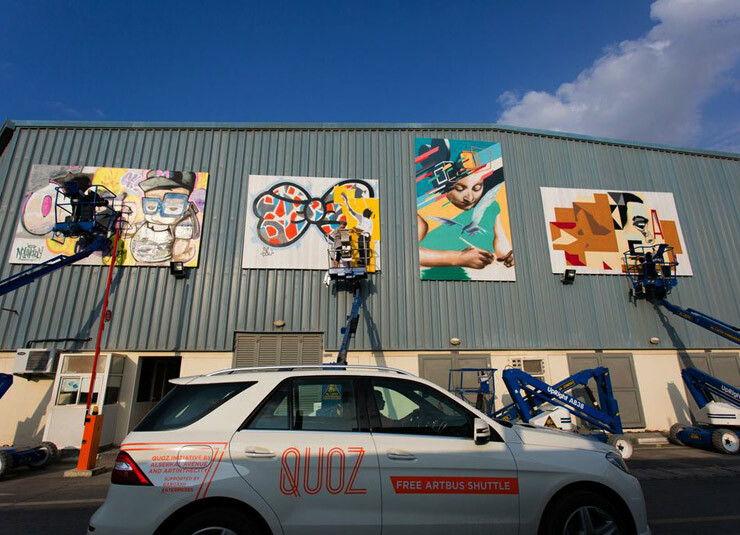 Not painted directly onto buildings but painted onto placards that are mounted on buildings, the QUOZ ARTS FESTIVAL had its second annual installation a little over a week ago. 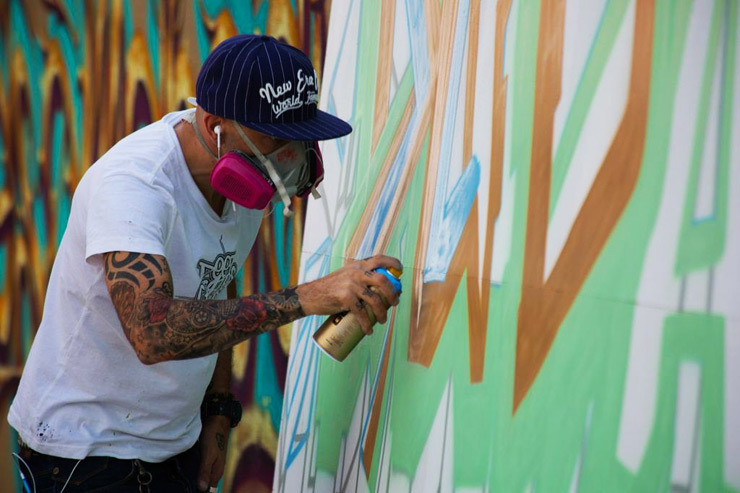 “It’s one of the rare chances that a organization in Dubai features local street artist / graffiti artists,” says Defs, who is here from the Philippines. 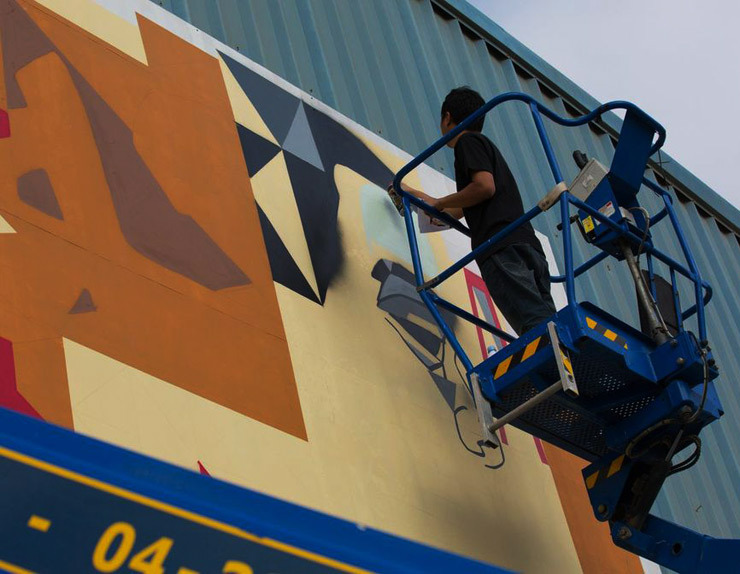 Here we have some photos of the work here for you to see whats up in Al Quoz in the UAE. 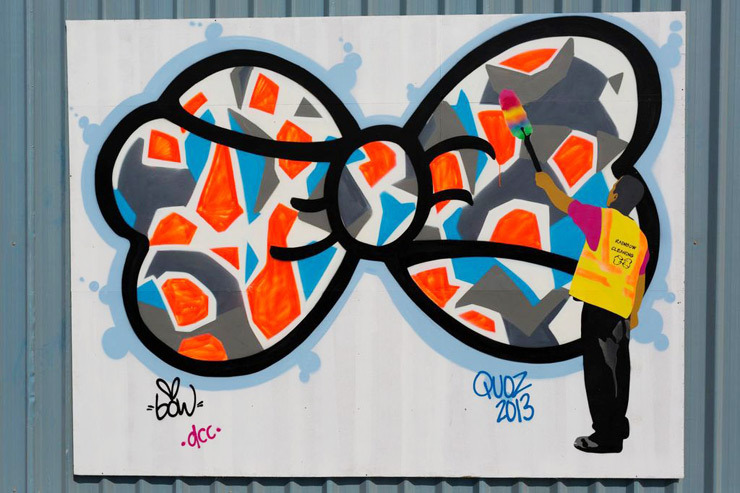 If you are wondering where this is, click here for a map.